Note: This portion does contain plot spoilers. These ensemble, interconnected dramas have had a mixed history between, especially those holiday romantic-dramas directed by the late Gary Marshall. But there have been bright spots, one of the better in the sub-genre was 2008’s Paris, I Love You which I really enjoyed, even New York wasn’t half bad (and with most people, I did miss Rio). 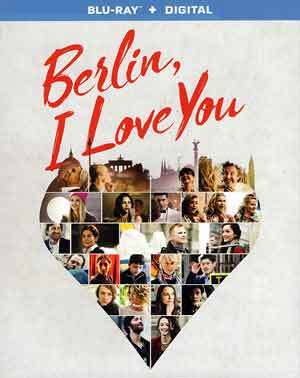 Now here is Berlin, I Love You, a film that had some okay moments, but is also surrounded by mediocre storytelling. Not sure there’s much of a point to break down the “plot”, but basically Berlin has 10 vignettes where the connection with the characters are merely them crossing paths every once in a while. I suppose my favorite, perhaps by default, was ‘Under Your Feet’ starring Keira Knightley and Helen Mirren as her mother; while not a whole lot actually happens (the bulk is mother-daughter arguing before making up), but as a fan of both Knightley and Mirren, it made the short watchable. The worst of the bunch is the disturbing story ‘Love is in the Air’ with Mickey Rourke and not-Brie Larson (Toni Garrn), as two people who meet a second-rate fancy bar, strike up a conversation, for which Rourke spills his guts about the daughter he lost contact with… I think you know where this is heading, but it does get icky when she basically proposes he would get lucky and meets him in his hotel room (nothing happens, she puts a stop to it) but he does find out that, yes, she is his daughter. Yikes. I guess this was supposed to be bittersweet and sad, but it was just utterly creepy. The other eight stories are rather forgettable, though admittedly some of the acting wasn’t terrible such as Rafaëlle Cohen who “stars” in the transitional storyline, a new arrival to Berlin and goes on an adventure around the city with Damiel, played by Robert Stadlober, who is on his way out. This release comes with a matted slip cover and a redemption code for the Digital HD copy. No features were included. Lionsgate releases Berlin, I Love You presented in its original 1.85 widescreen aspect ratio and a 1080p high-definition transfer. The picture here isn’t at all bad, detail is relatively sharp throughout and the daytime scenes are nice and bright in keeping with the (mostly) light-hearted, if not also dramatic, scenes. Black levels are fairly stark and there is the presence of the natural noise, with no apparent instances of artifacting or aliasing. The included DTS-HD Master Audio 5.1 track was surprisingly strong. After initially starting out almost completely with dialogue, or ambient city noises, this really comes to life during a few scenes like one inside a German nightclub where the heavy beats of the electronic music hemorrhages through all five channels and the LFE turning on to shake the floor. This was a rather impressive lossless track. 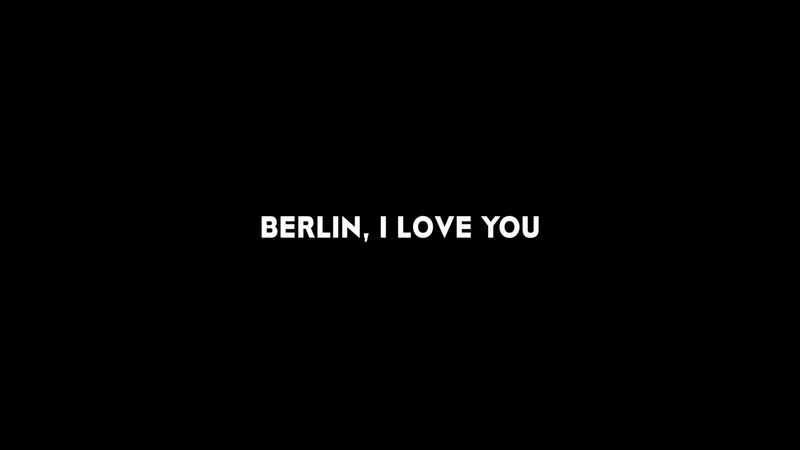 Overall, Berlin, I Love You is hardly the worst interconnected ensemble dramas and at least one out of the ten vignettes was somewhat entertaining, one was peculiarly creepy and the other eight on the forgettable side. The Blu-ray release might not have any features, but the video and audio transfers were both well done.